Carissa was born and raised in Bucyrus, Ohio. She graduated from Wynford High School in 1990. 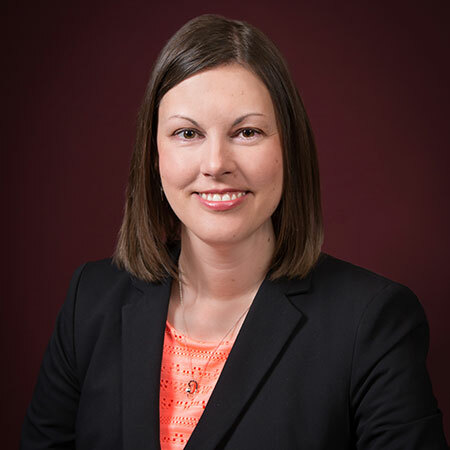 Carissa attended Bowling Green State University and graduated in 1994 with a Bachelor's of Science in Business Administration. After spending a few years living and working in Raleigh, North Carolina and a Chicago suburb, she returned to Bucyrus in 1998. Carissa began her employment with the agency in August of 1998 and obtained her agent's license later that year. She handles commercial lines accounts for the agency. She is active in the Wynford schools. She is also involved in Junior Achievement as a classroom volunteer at Bucyrus Elementary. In her free time, Carissa enjoys time with family, cooking, gardening and crafting. Carissa and her husband, Phill, reside in Bucyrus. They have a daughter, Abigail.